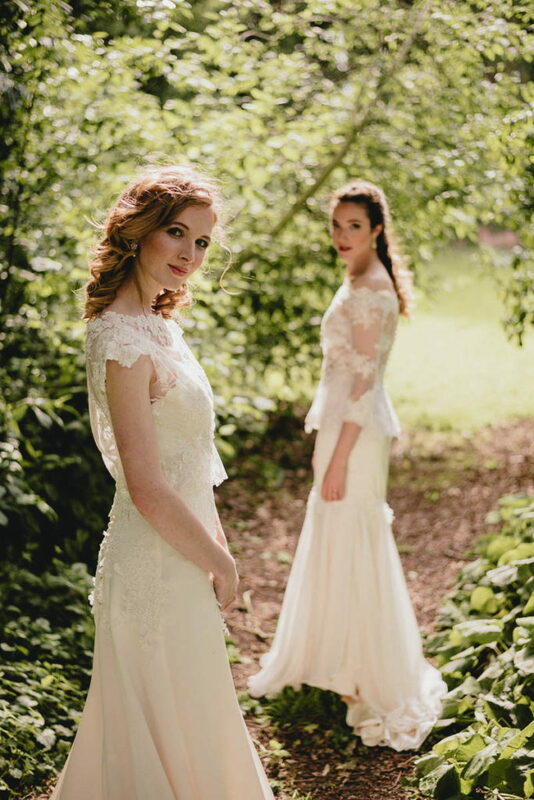 Images by Benjamin Mathers Photography. 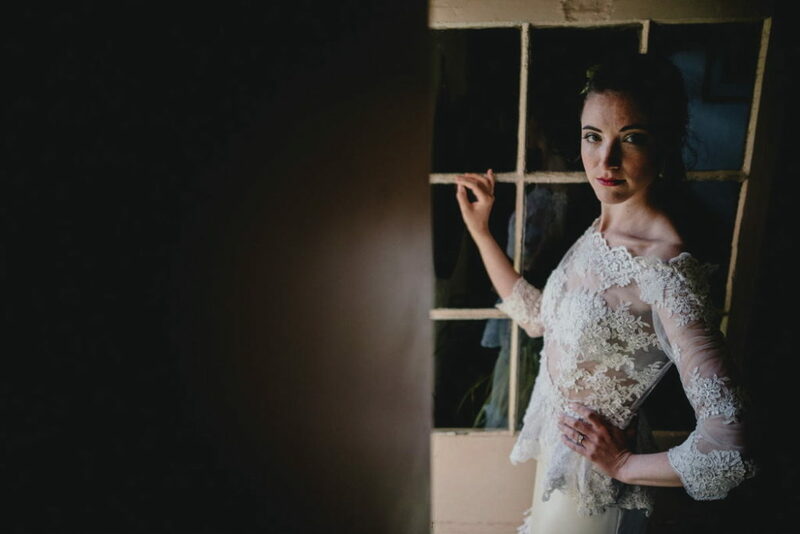 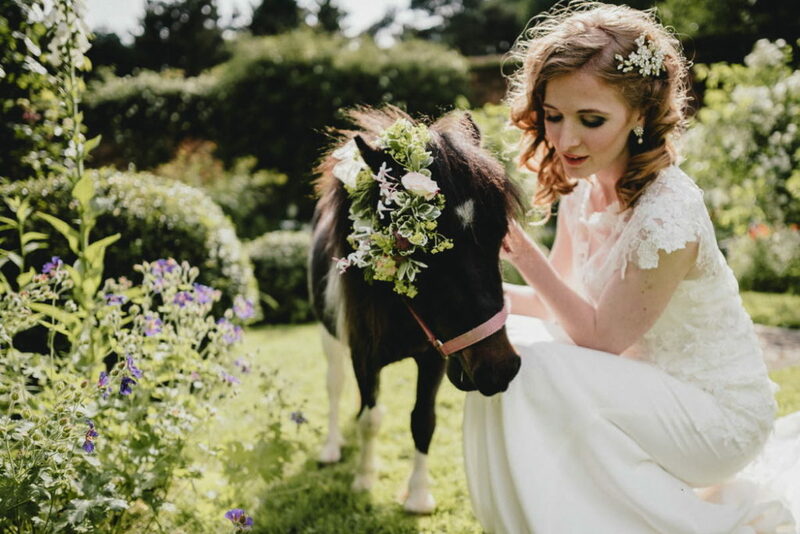 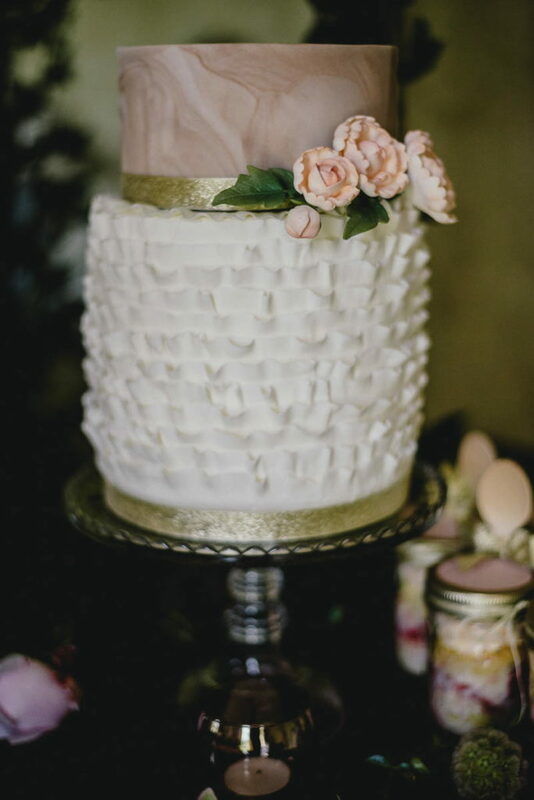 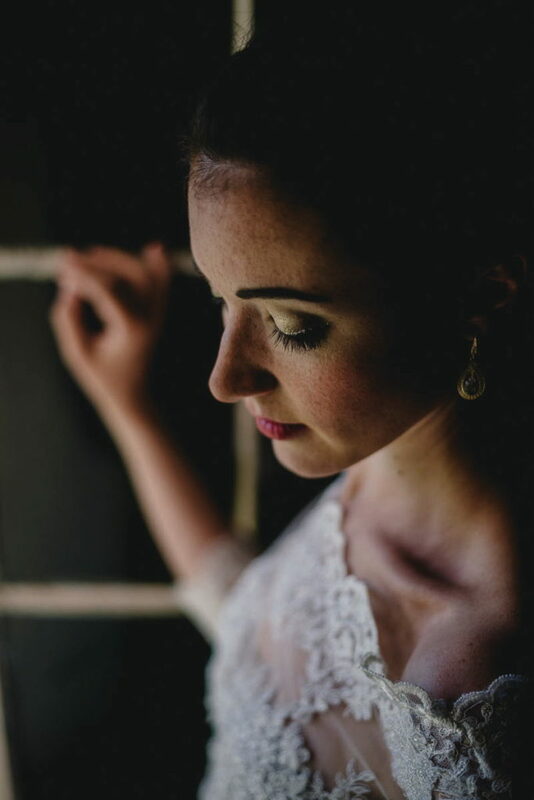 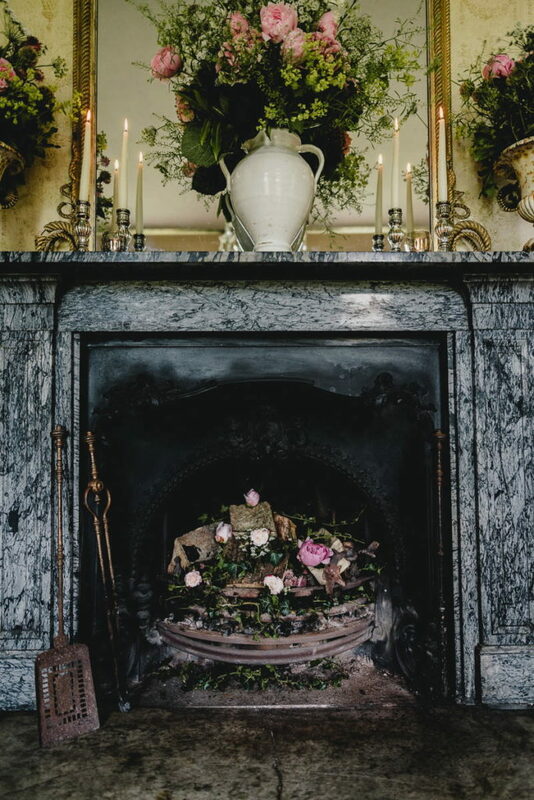 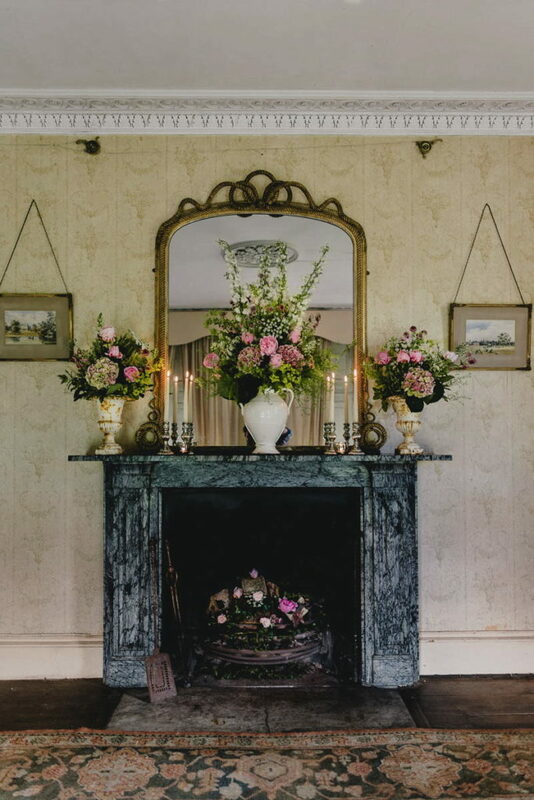 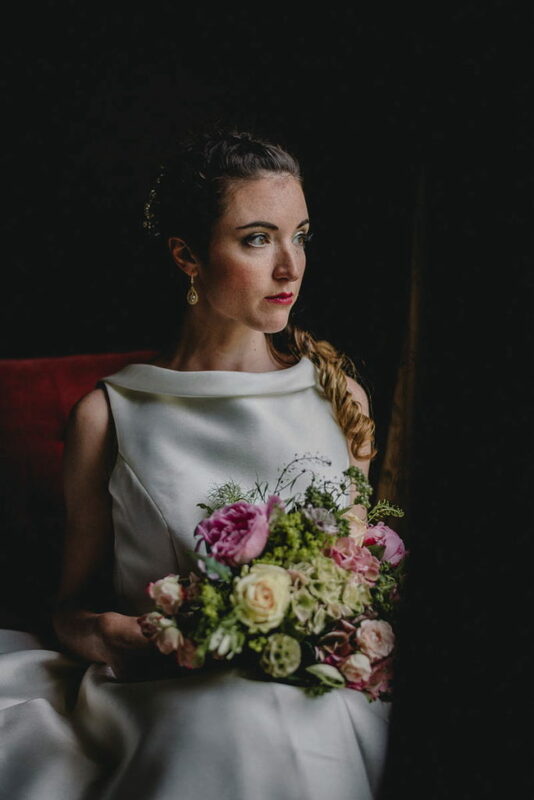 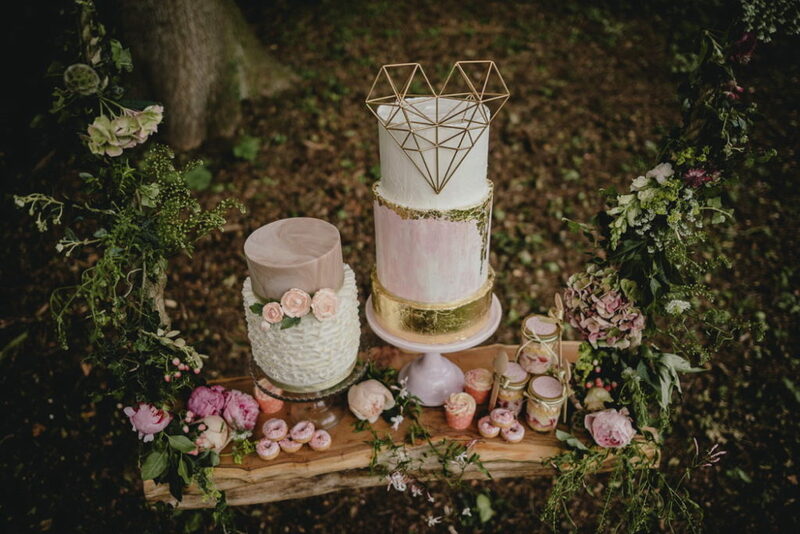 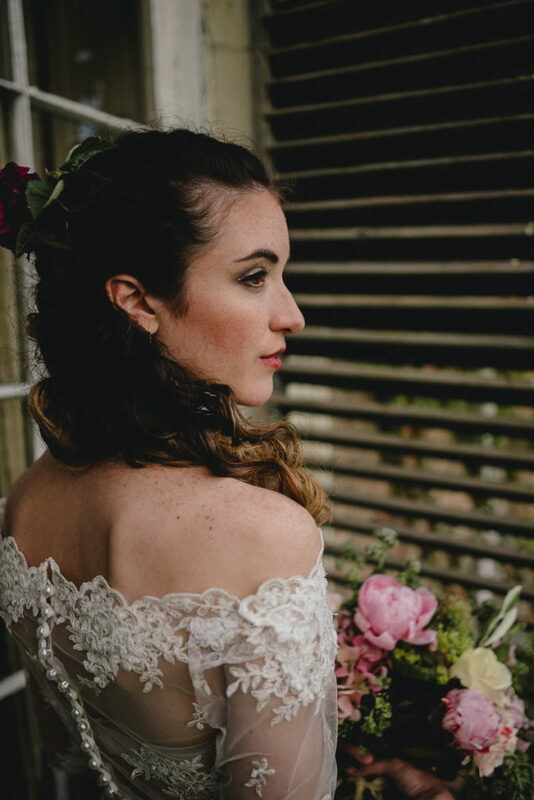 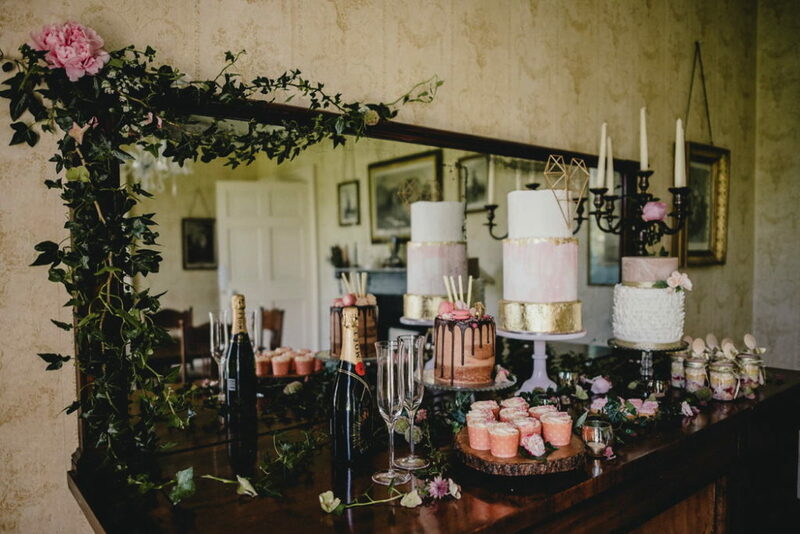 Set against this 18th century Georgian style country mansion, this styled shoot celebrates the unique beauty of this Norfolk estate as a wedding venue. 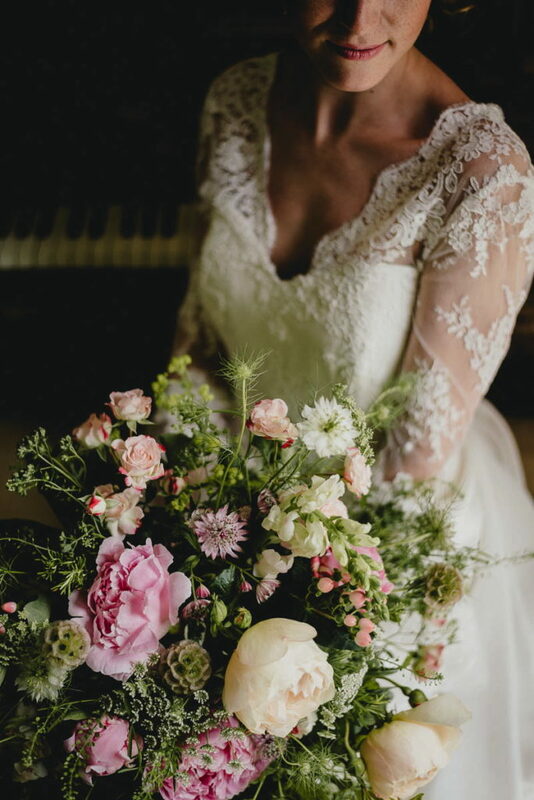 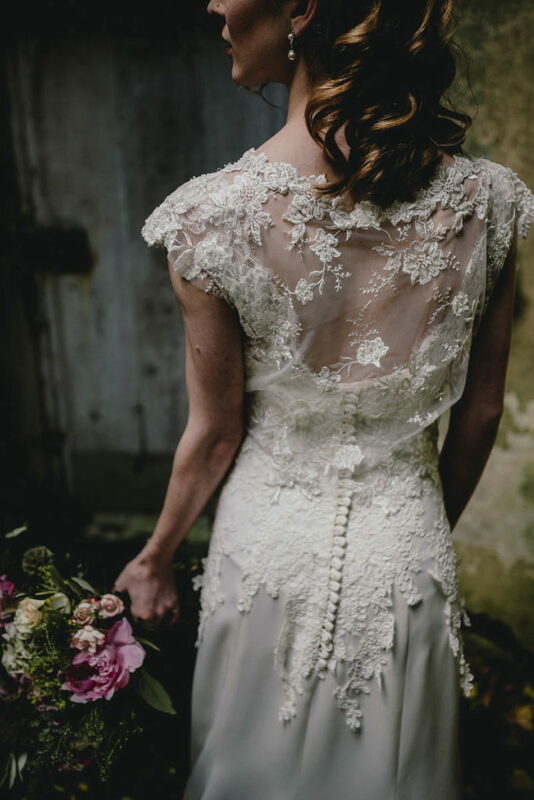 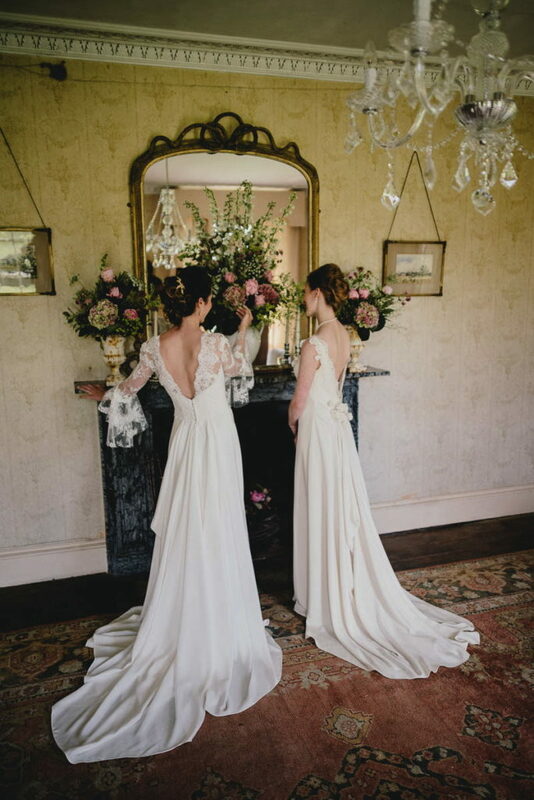 Showcasing everything that makes Thurning Hall unique, from the period interiors through to the stunning grounds in the depths of the unspoilt Norfolk countryside, this shoot combines super pretty, inspirational aesthetics with the uniqueness of Thurning Hall. 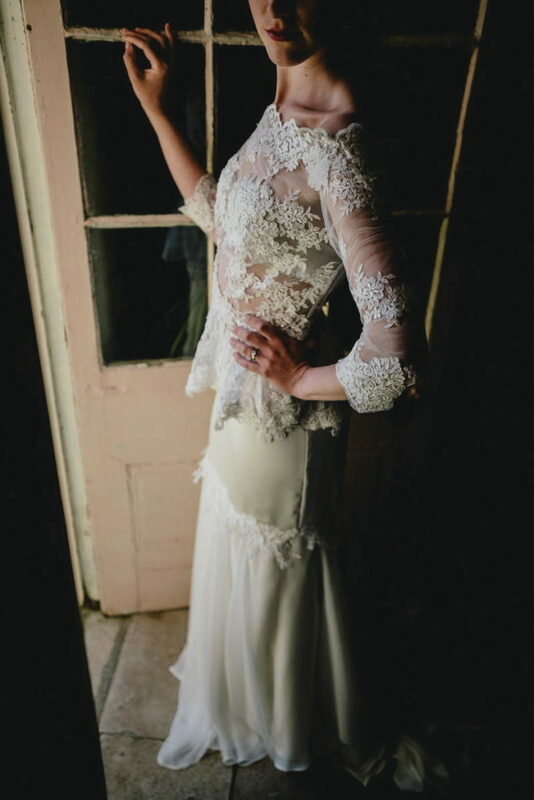 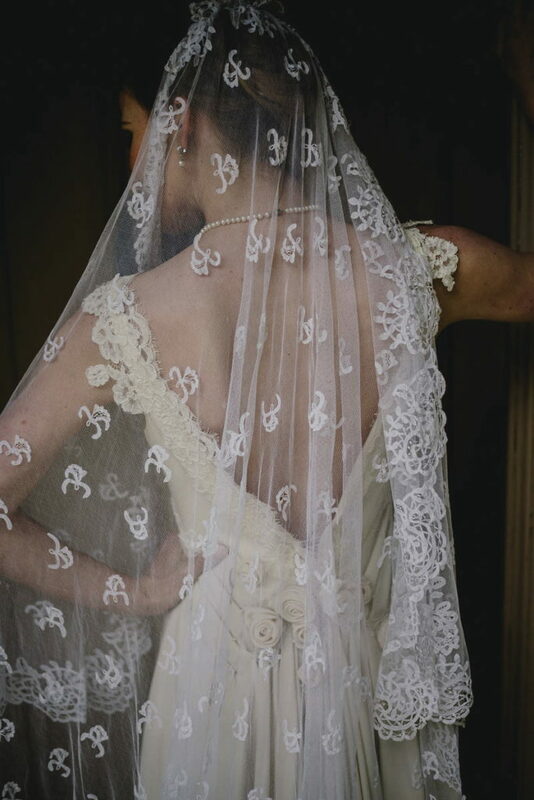 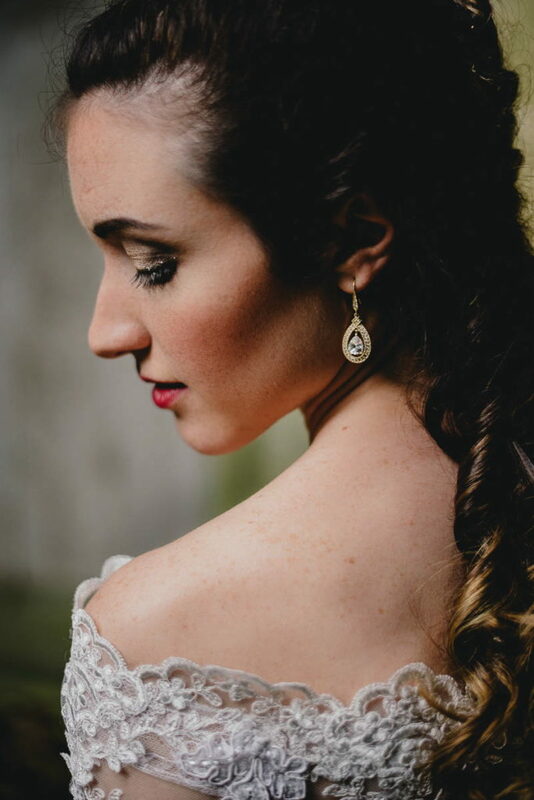 If you’re a bride or groom wanting to combine historical elements with decadent touches then this one’s for you. 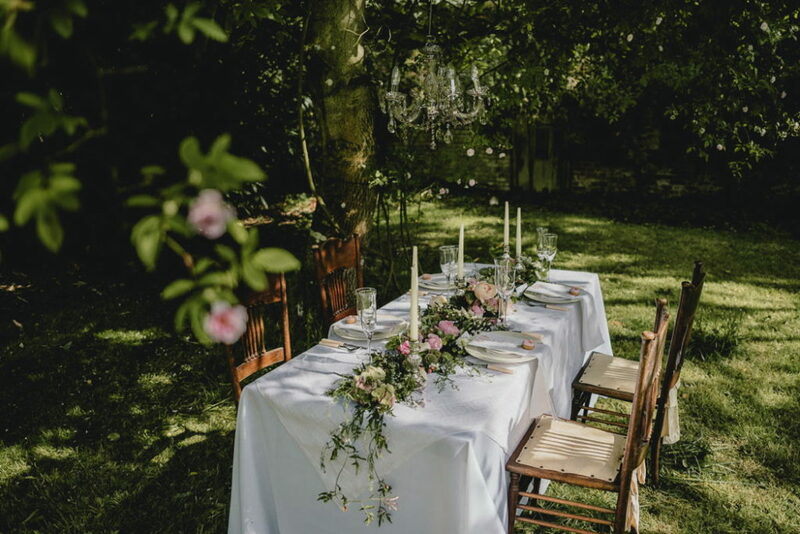 The walled garden at Thurning Hall was set for an intimate wedding breakfast using tableware curated from the wedding gift list company, Prezola and stationery from White Olive Design Studio. 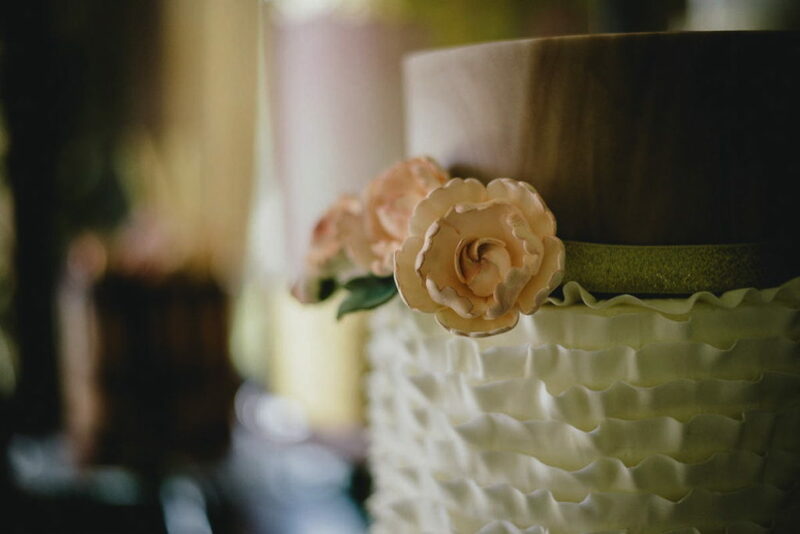 We wanted to give a luxurious quality to the tablescape without making it too staid and oppressive. 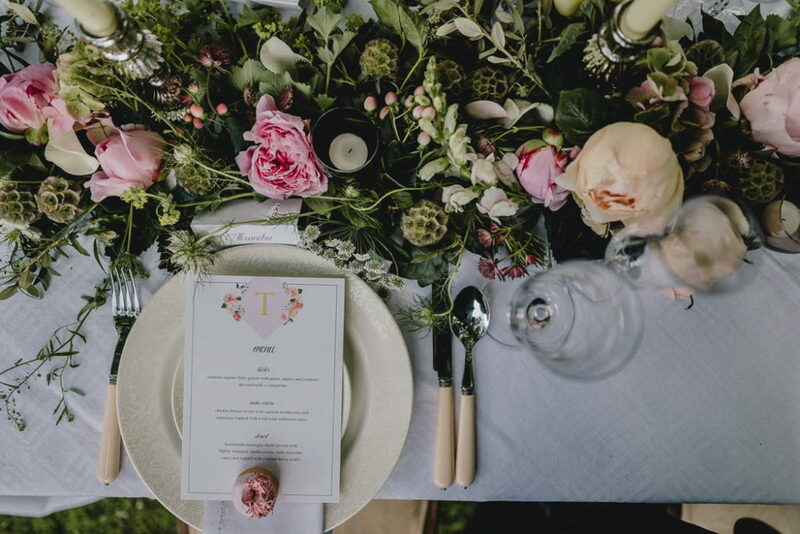 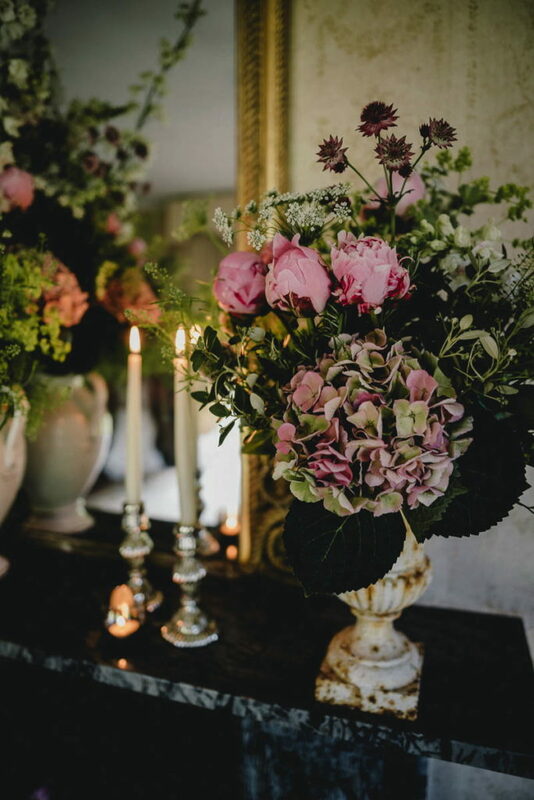 The table was dressed with a beautiful flower and foliage garland, highlighted with candlesticks and soft pink florals. 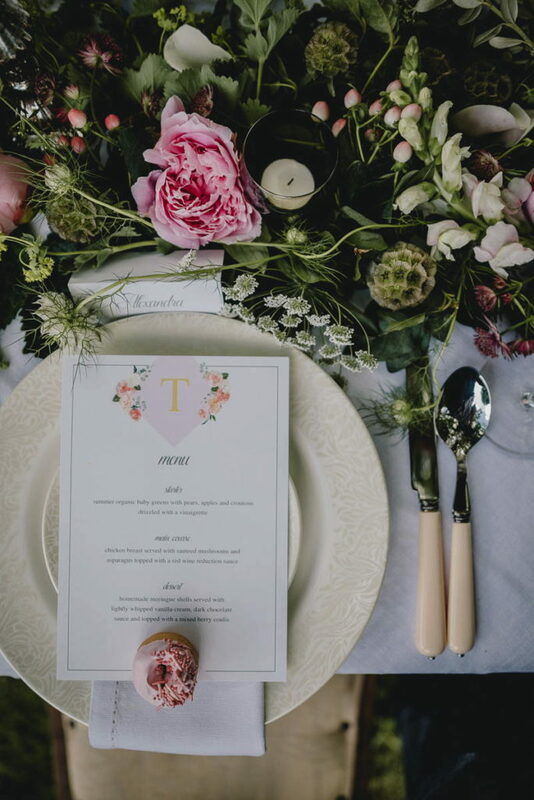 The refined Dartington crystal glassware, ‘ivory’ handled cutlery from OKA and delicately patterned Monsoon crockery by Denby (all from Prezola) hinted at elegance and the heritage of the venue. 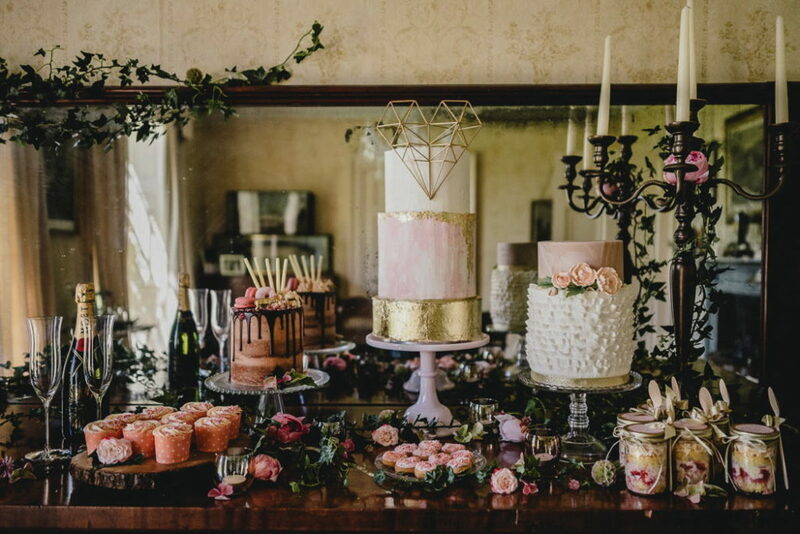 We layered the look to give a decadent style. 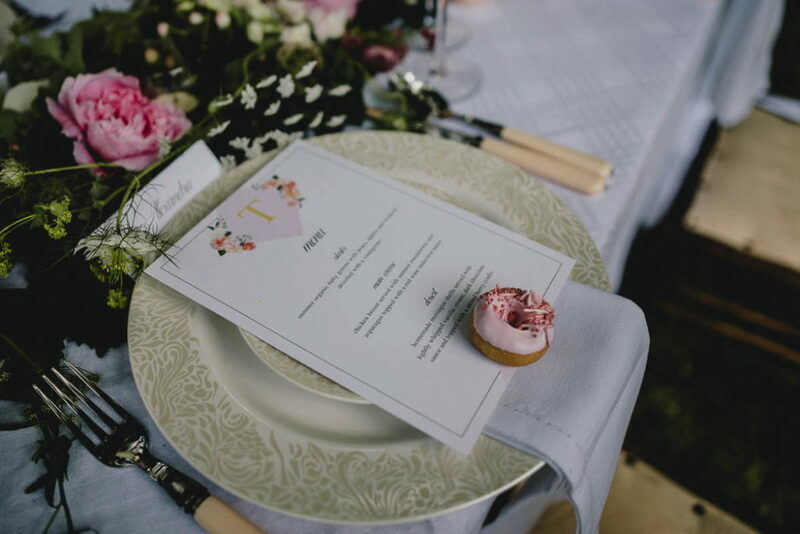 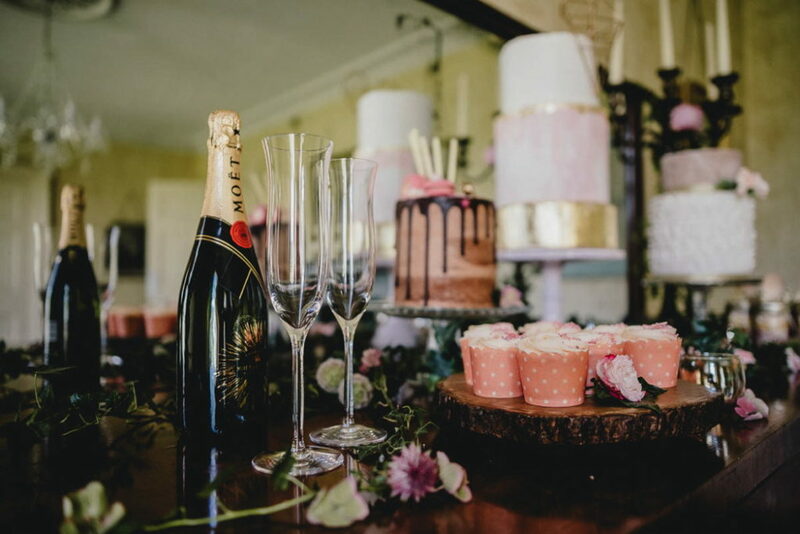 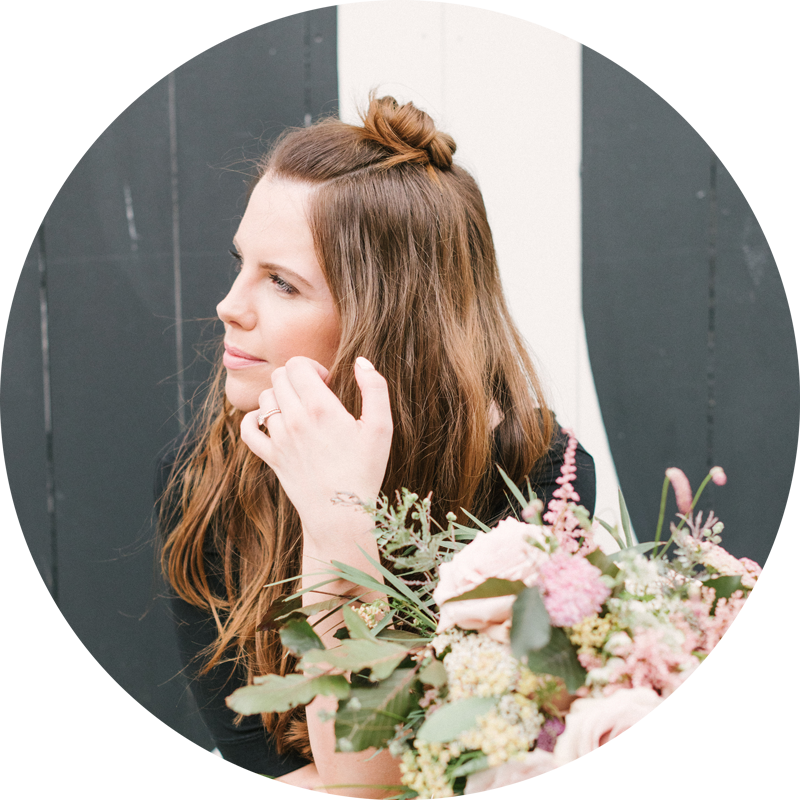 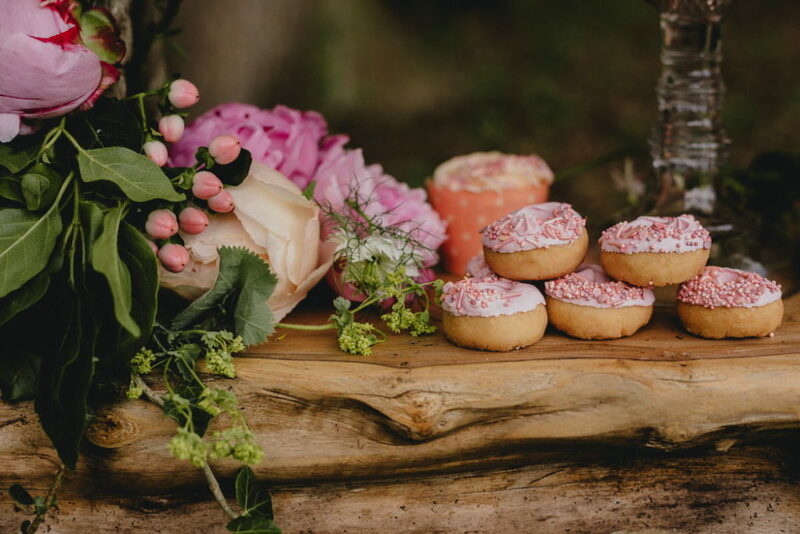 Each place setting was completed with a mini donut from Sugar Buttons adorned in pink icing and sugar decorations to add a cute, and contemporary touch to the table. 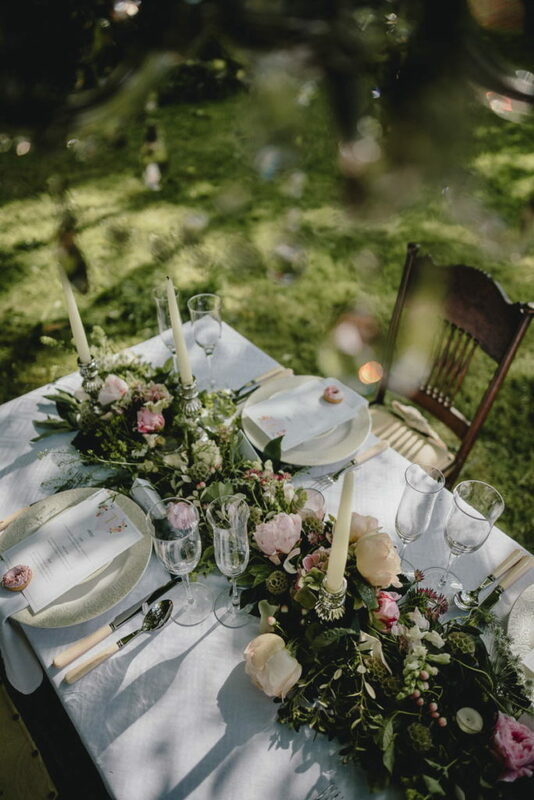 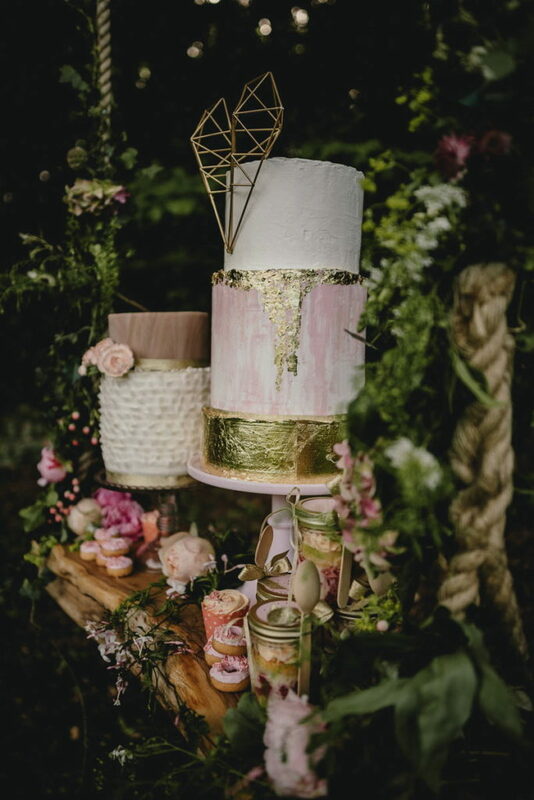 Prezola also provided mercury silver candlesticks and tea light holders in a selection of soft metallic lustres which added to the softness and romance of the shoot. 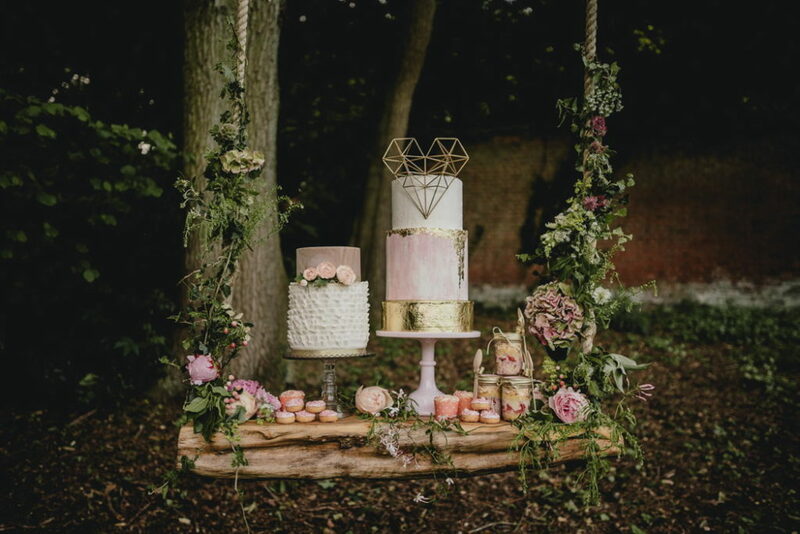 The table was crowned with a hanging chandelier to create an even more dramatic and opulent visual feast. 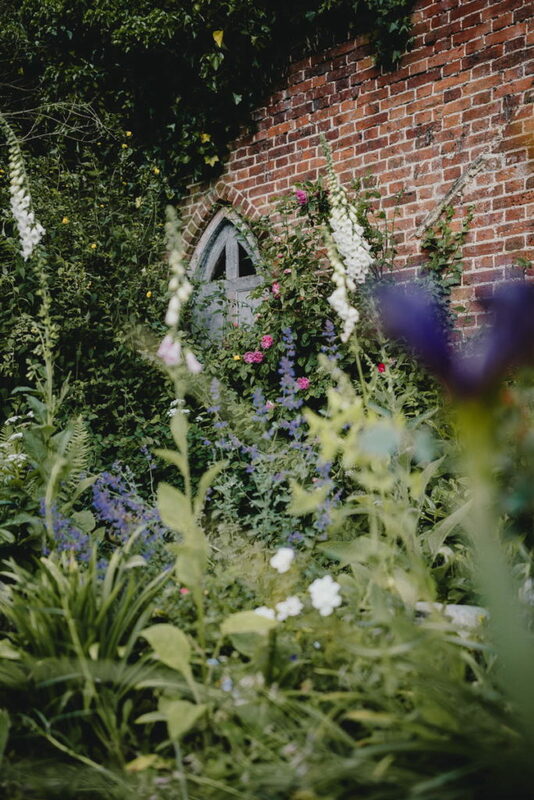 Thurning Hall is nestled in a quiet corner of the Norfolk countryside, having been in the current owners’ family for 70 years and has a fascinating past. 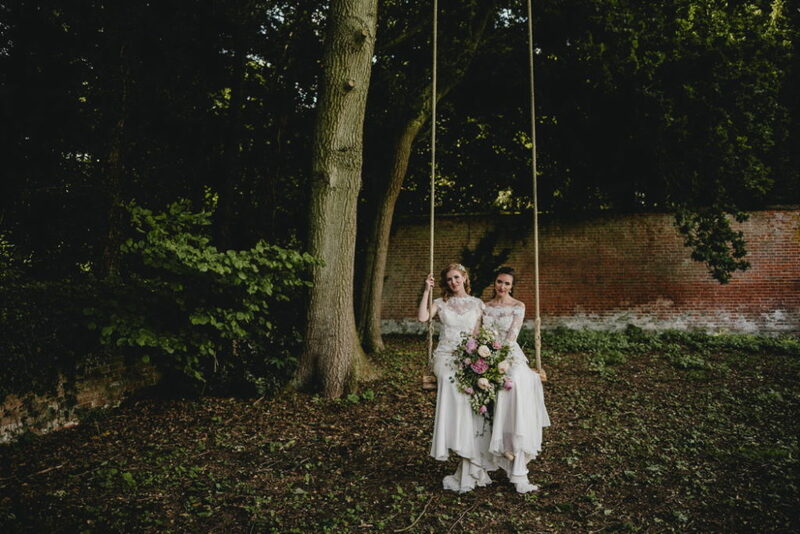 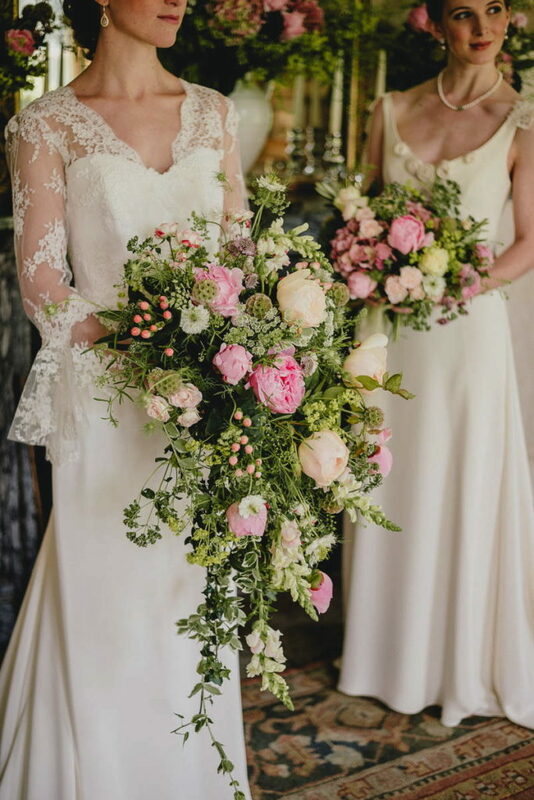 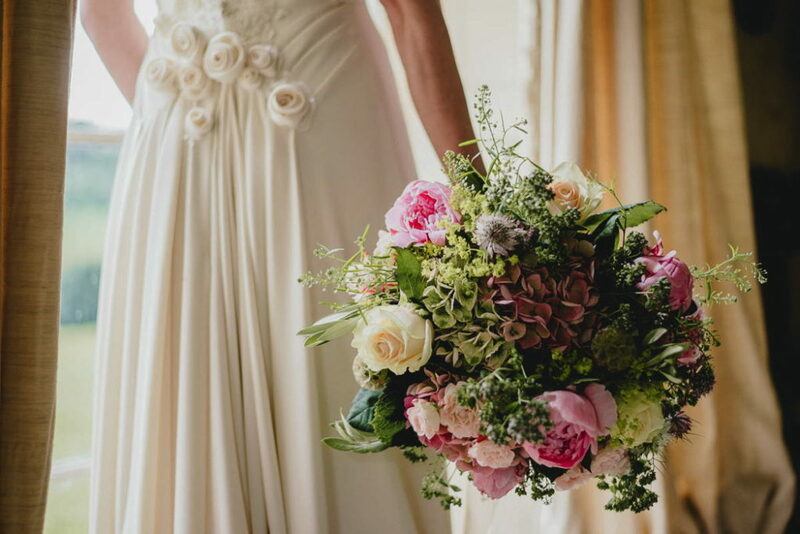 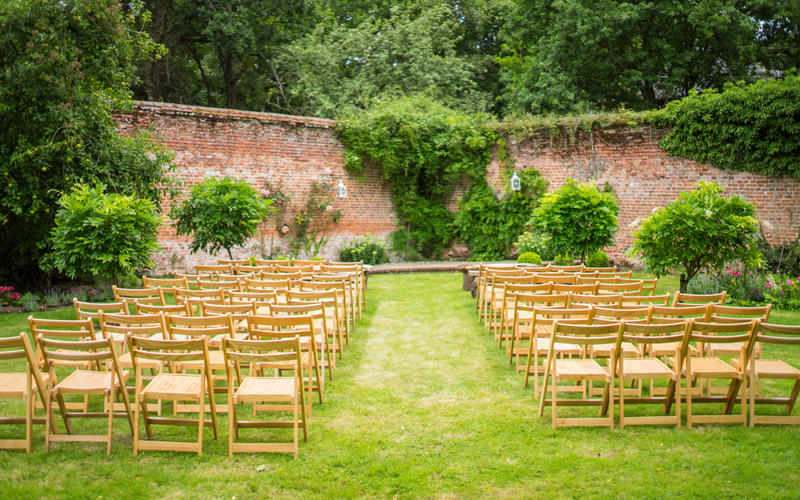 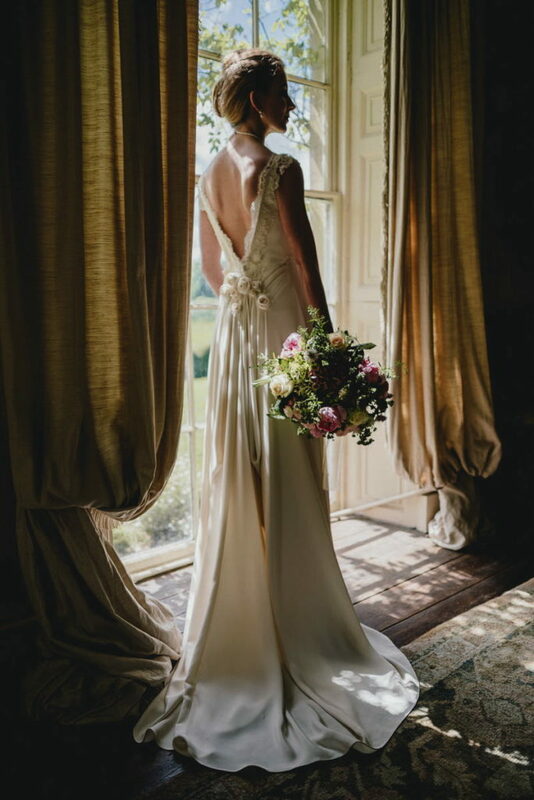 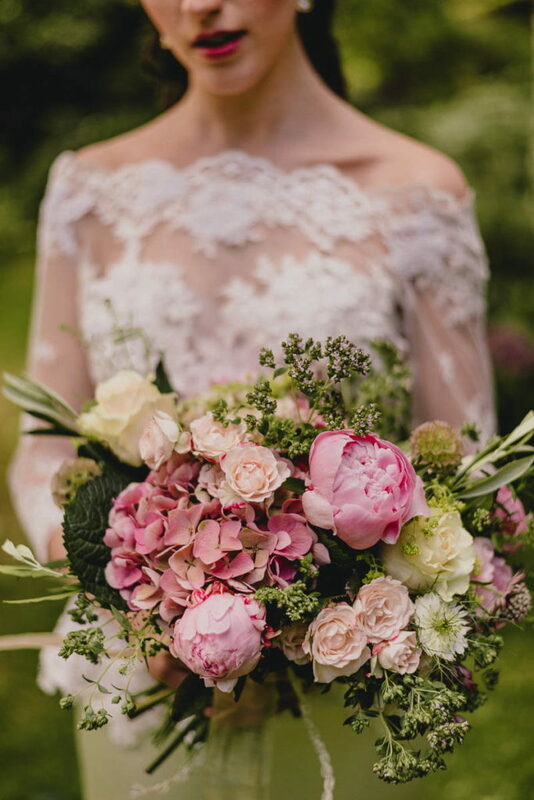 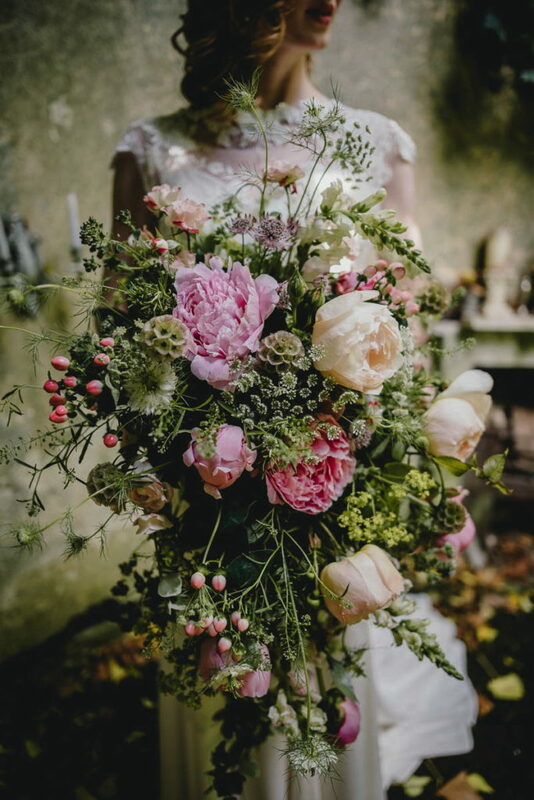 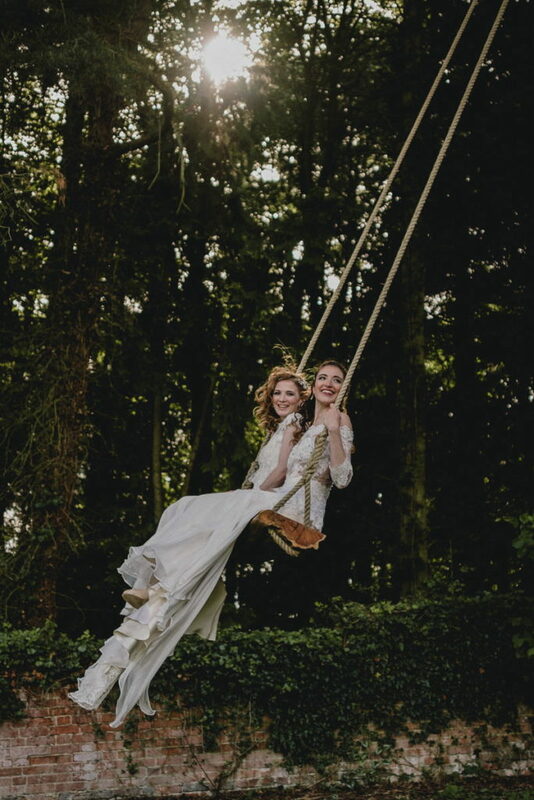 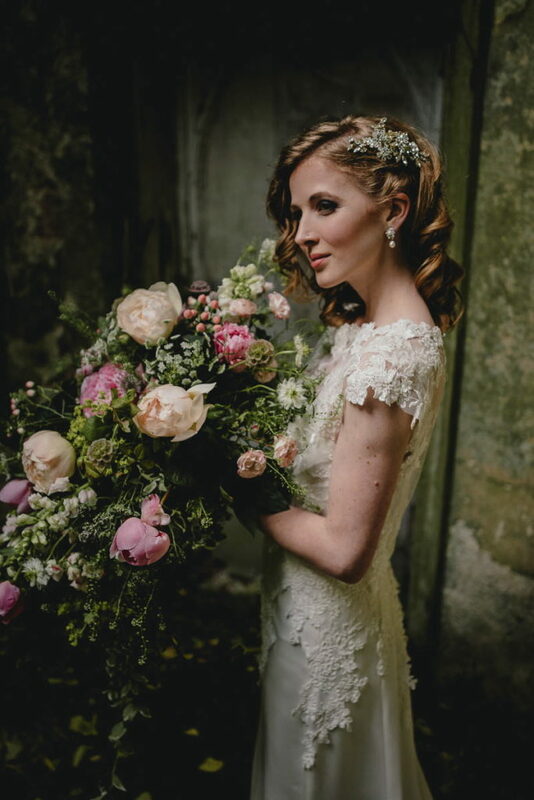 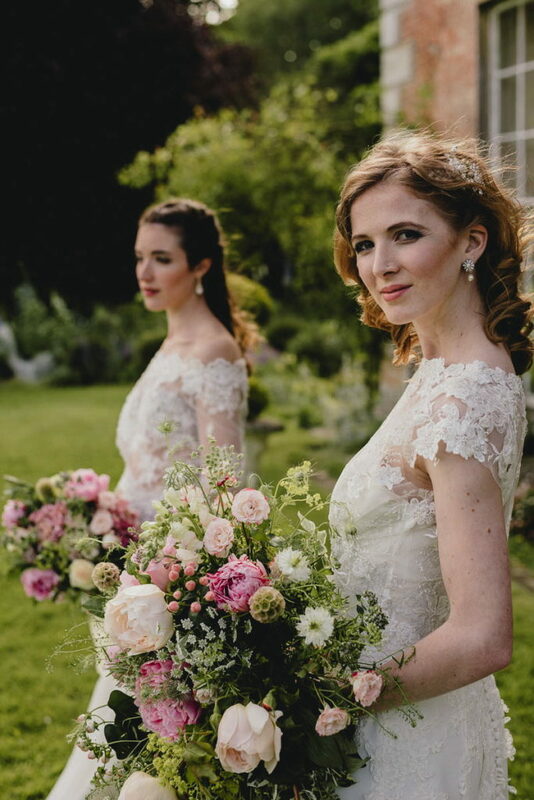 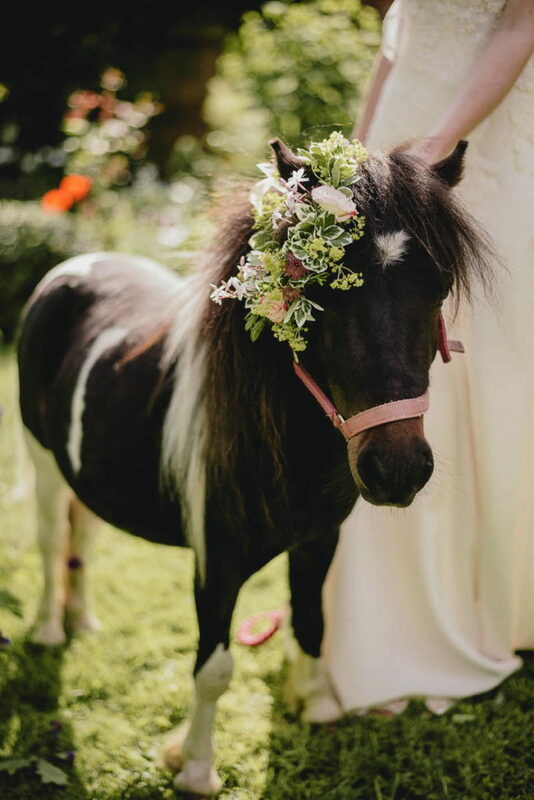 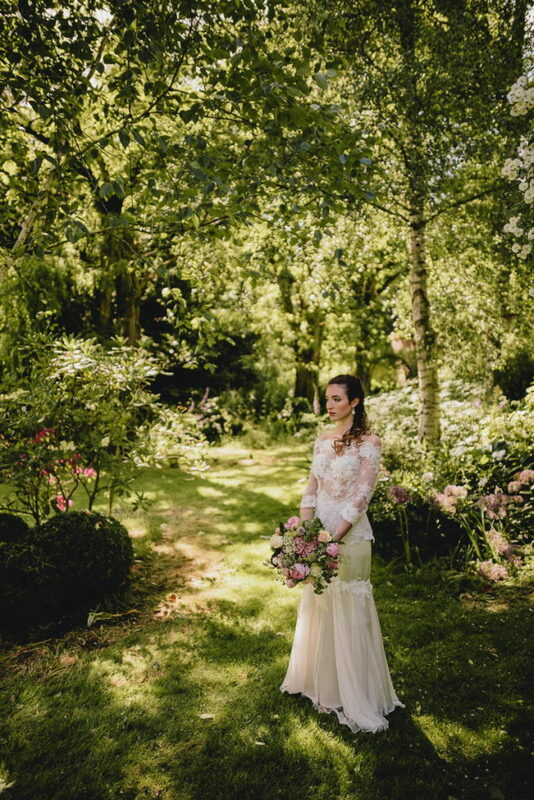 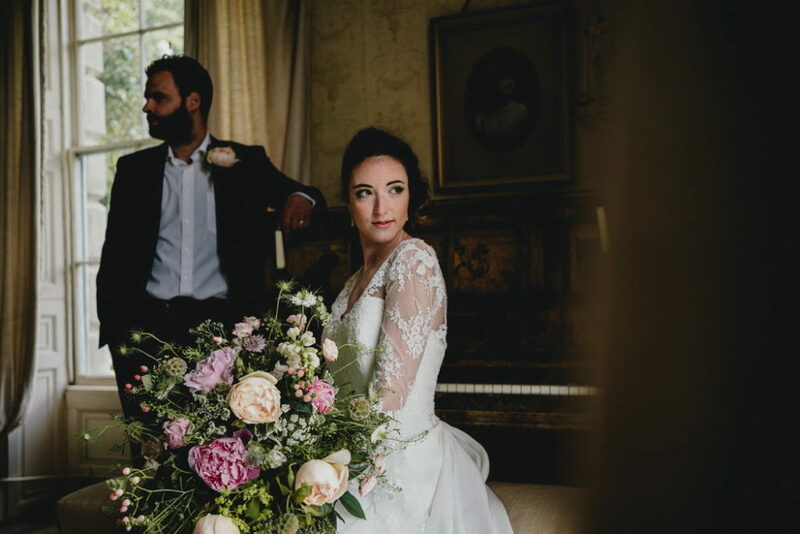 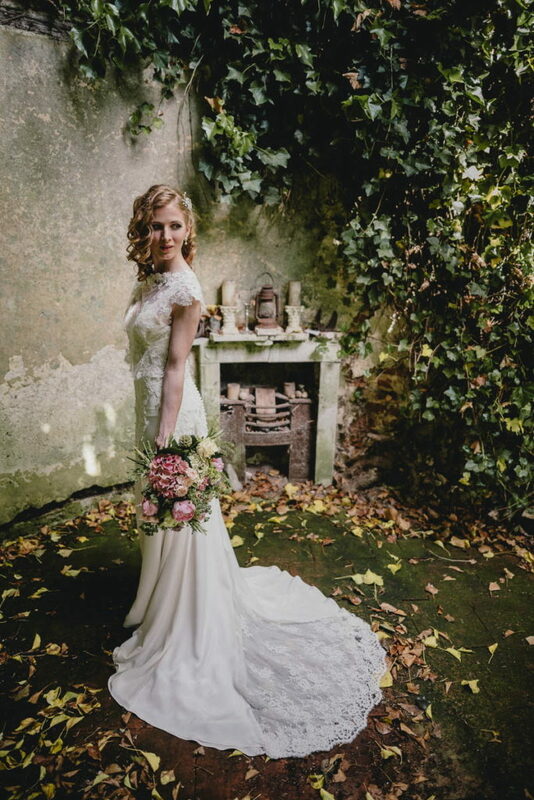 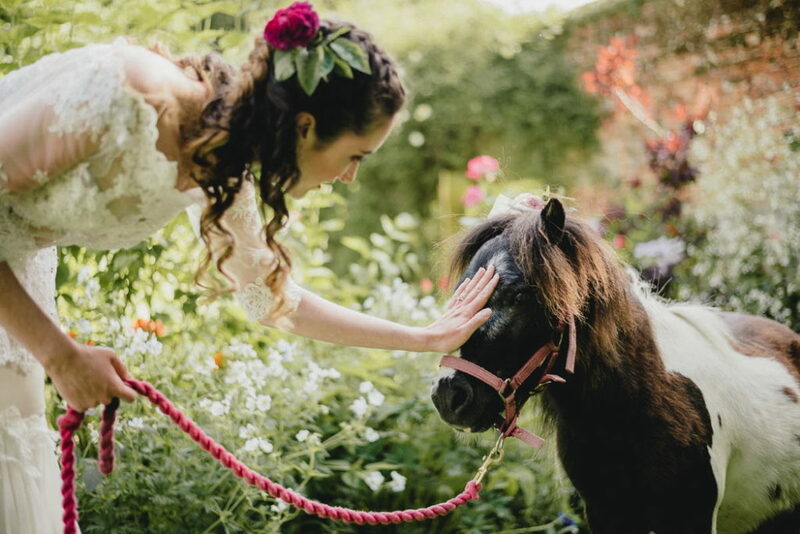 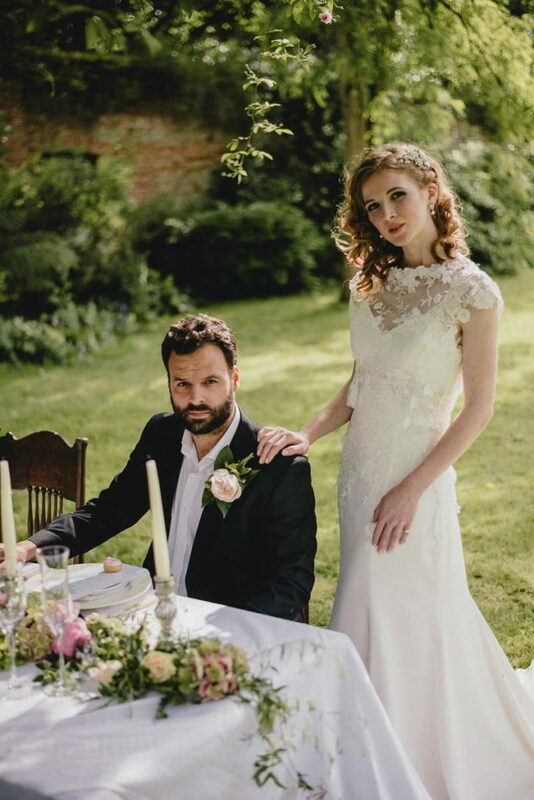 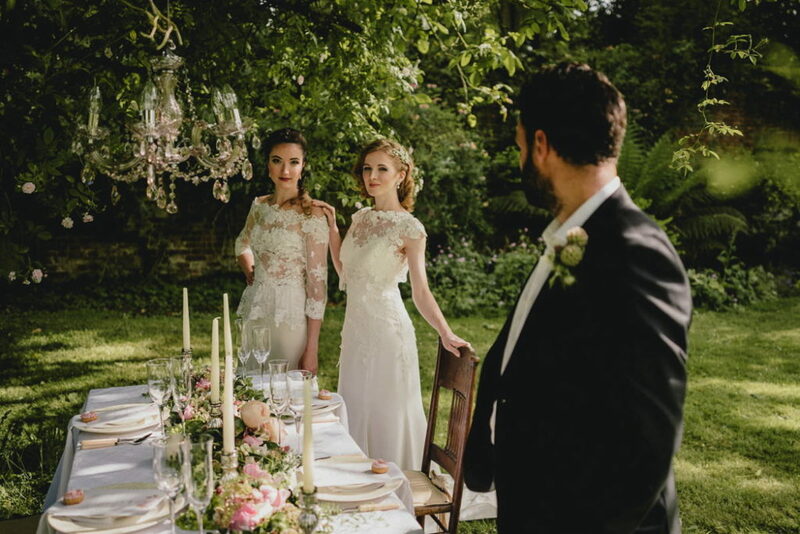 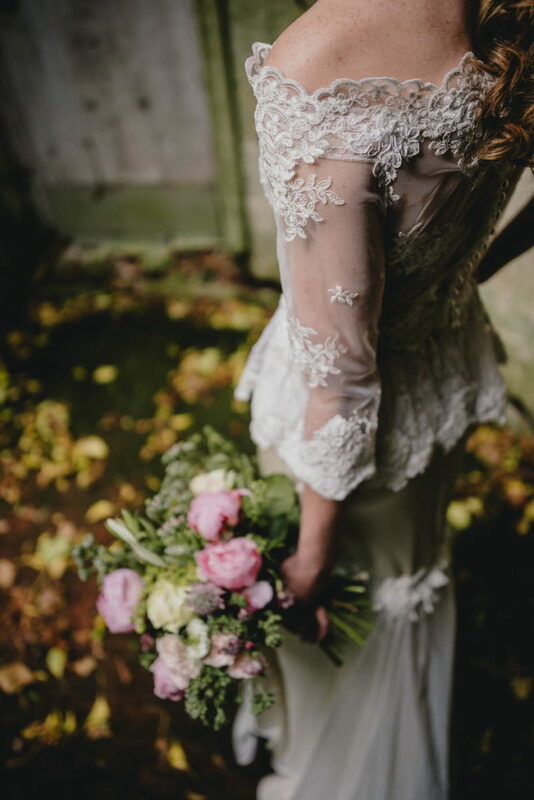 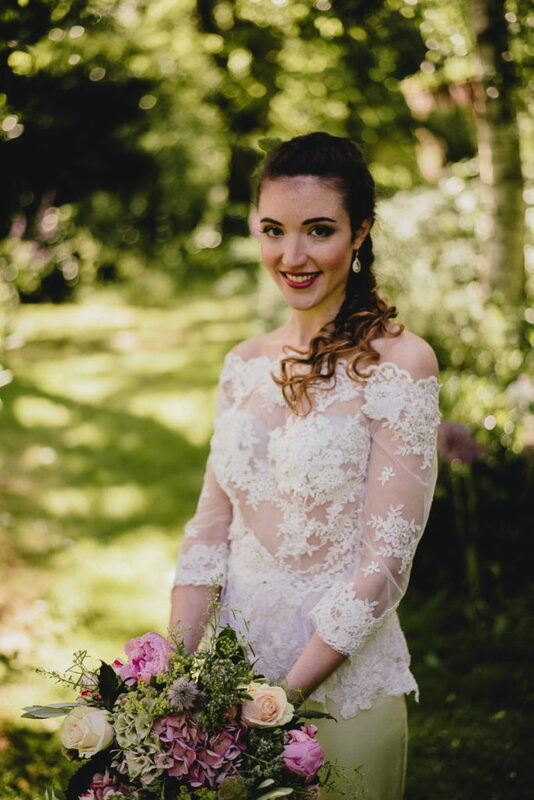 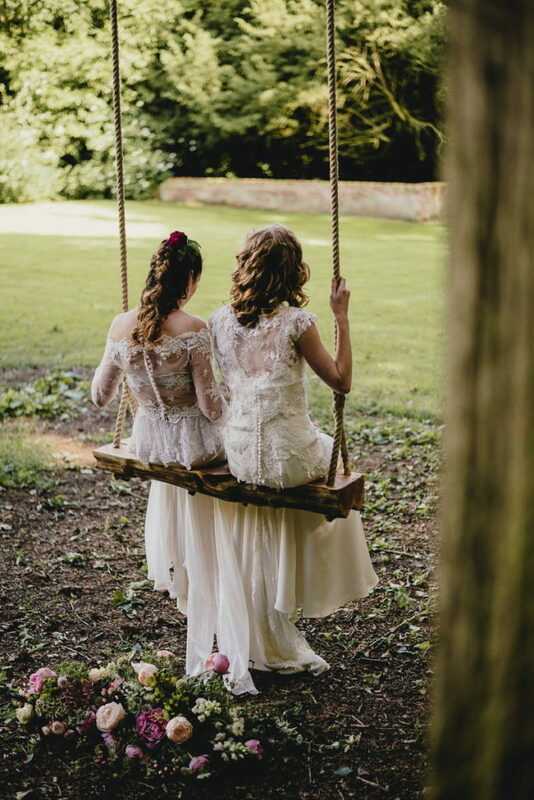 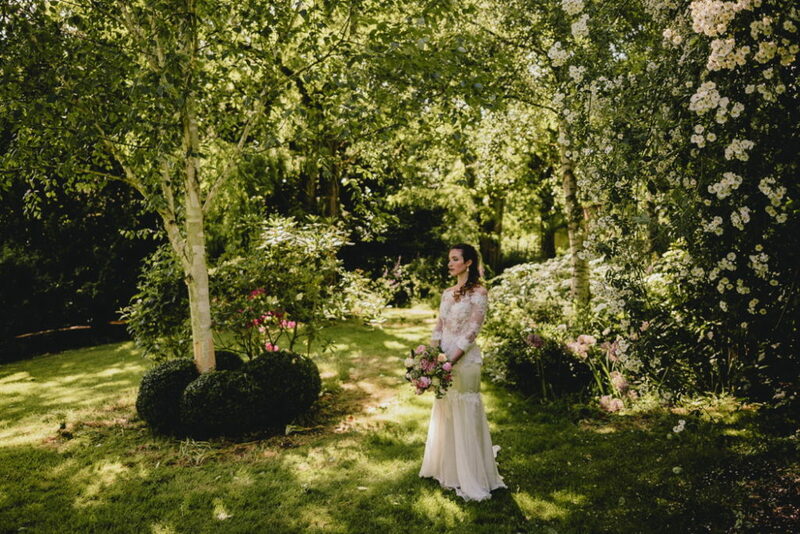 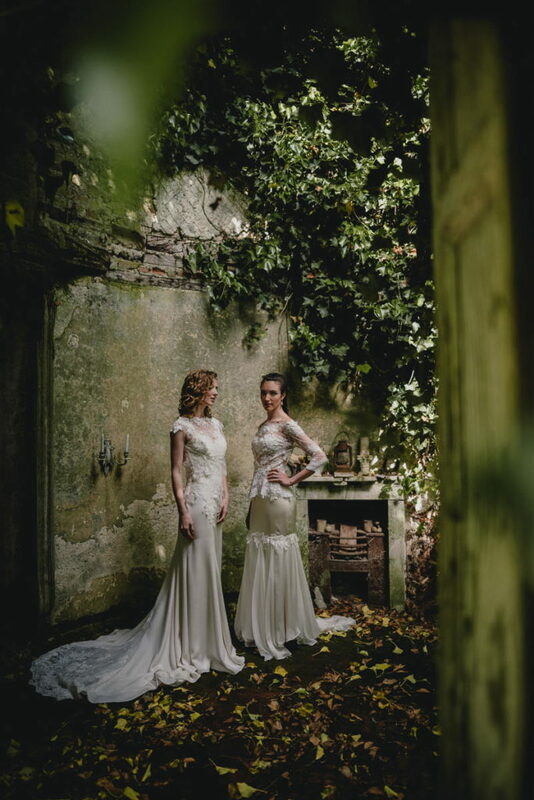 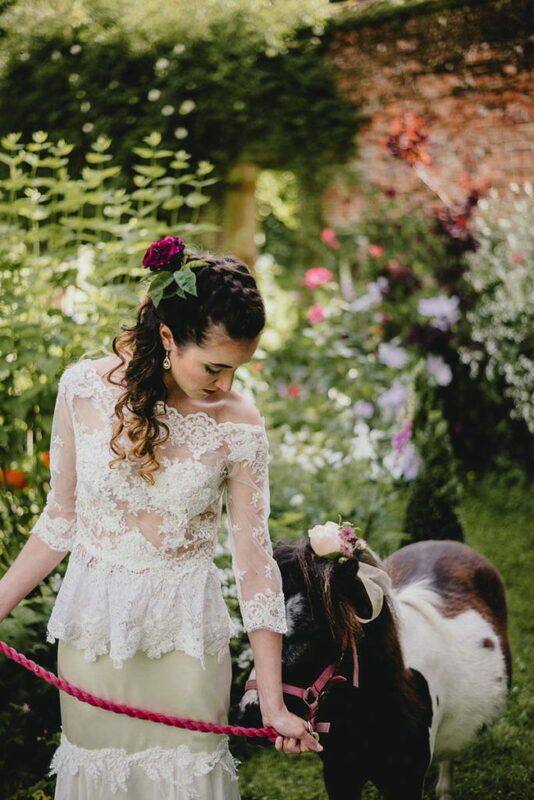 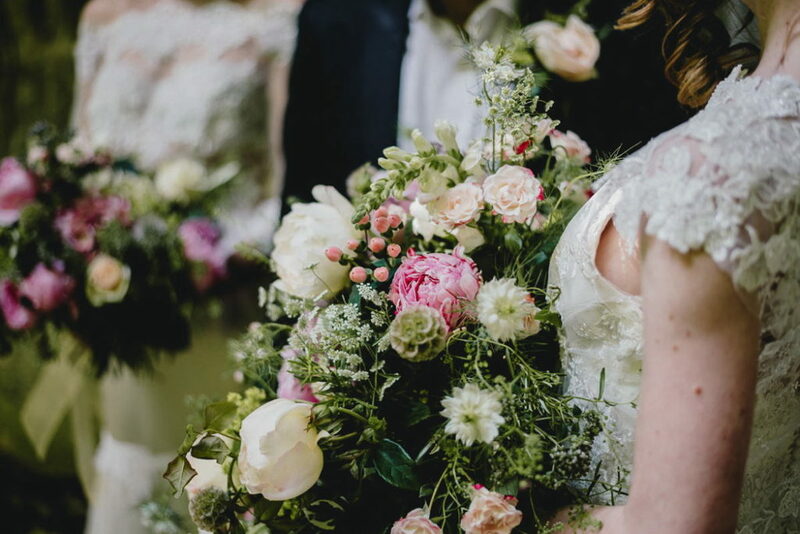 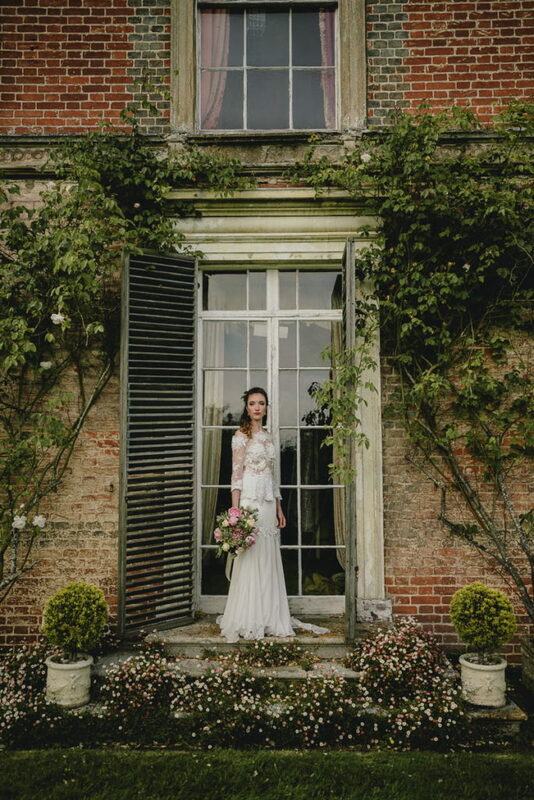 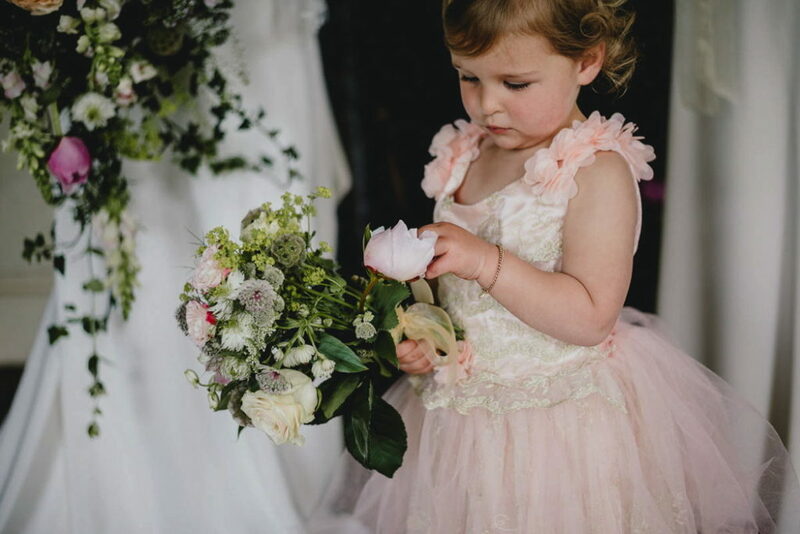 Set in over 12 acres, the outside space is extensive and varied with woodland, informal walled gardens, meadow furthermore unbroken agricultural views offering many photo opportunities for our shoot. 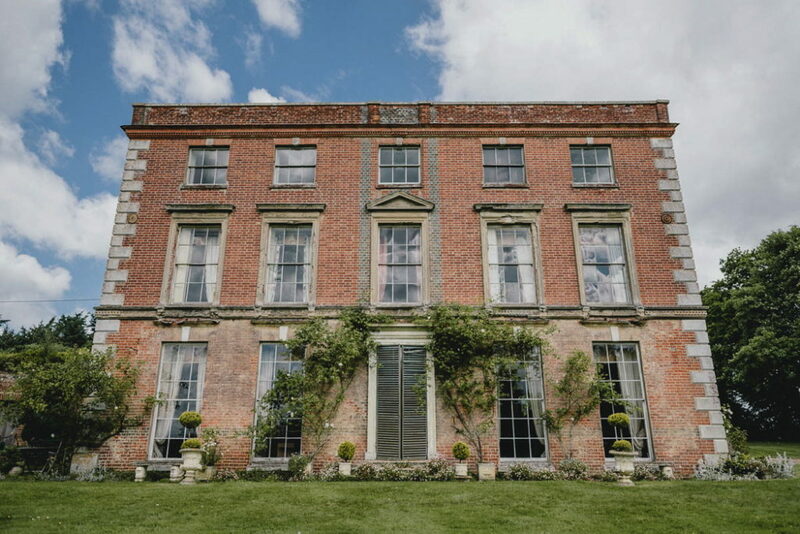 The interiors are filled with antiques and period features giving Thurning a unique character. 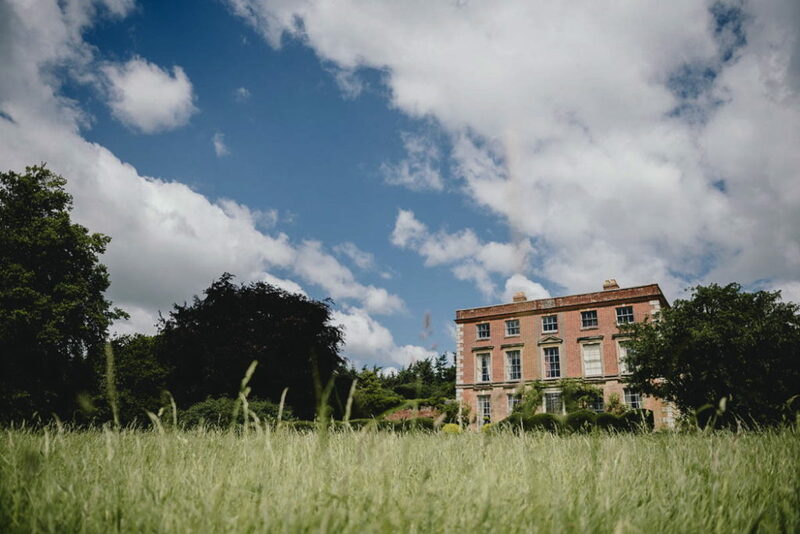 This character has led it to be commissioned as the setting for period dramas (including BBC productions) and various editorial shoots. 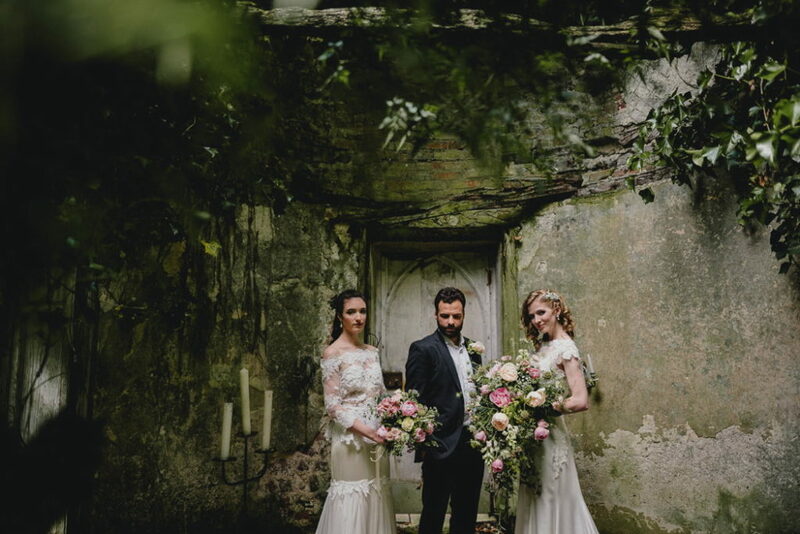 Special Thanks to Models Cathy Wilson, Hollie Harrington, George Lacey and Kitty Lacey. 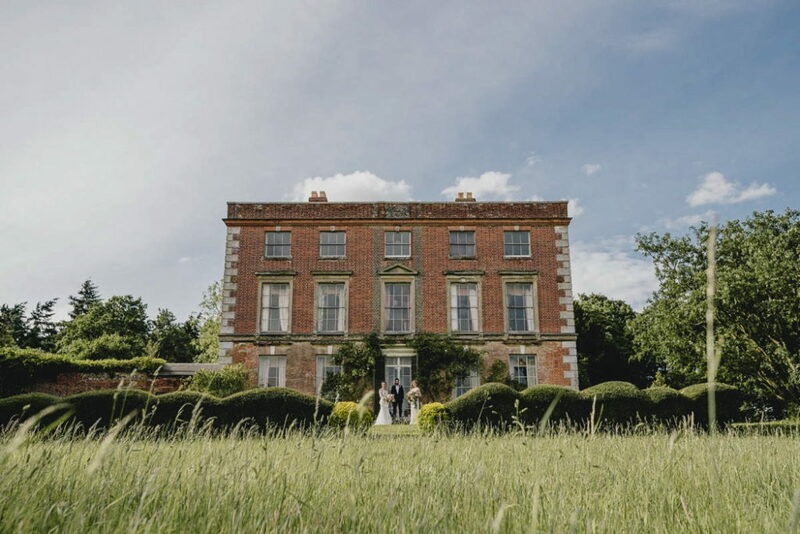 Thurning Hall is a beautiful 18th century country house set in acres of… informal secret, walled gardens, woodland and grass meadow expanse.